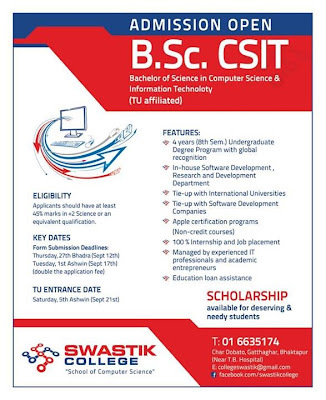 Swastik College announces Admission open for year 2070 in B.Sc. CSIT program . The entrance Examination form are being distributed.